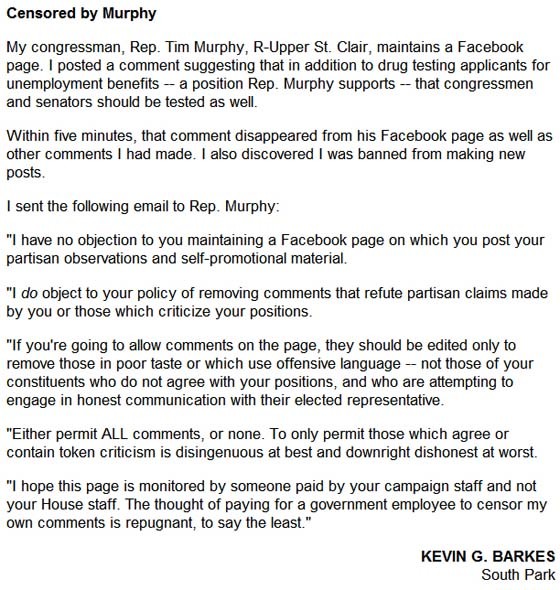 And no, I never received a response to my e-mail from Representative Murphy or his staff. In case you're wondering, it appears the House Ethics Committee never reported on the charges. I'm originally from Iowa. It took a long time for me to realize we were free to go.